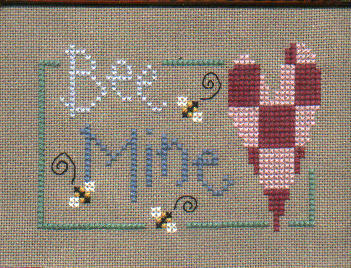 Bee Mine JoniG I changed the heart colors from purples to red/pink - the original colors were GAST Highland Heather/Red Grape which I changed to Cotton Candy/Cherry Wine respectively. 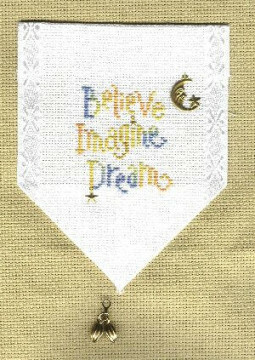 Believe Imagine Dream BrendaH Stitched on 28 count Wild Pink hand-dyed linen using hand-dyed threads from The Dye Is Cast. 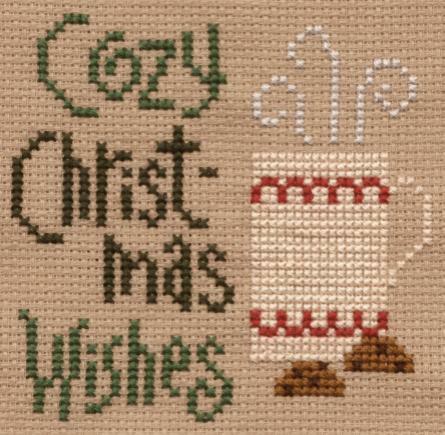 Cozy Christmas Wishes Eileen B I stitched this on 14 ct Aida and have inserted it into a trivet. 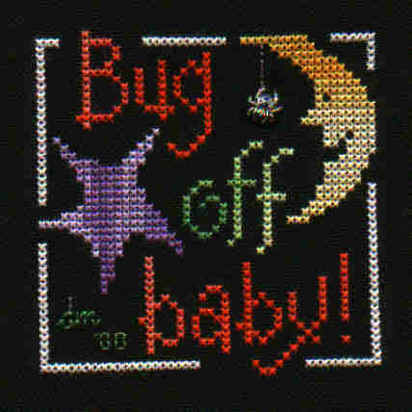 Someone will receive as Xmas gift this yr.
Eek Karen V in England Stitched the spider instead of using a charm. 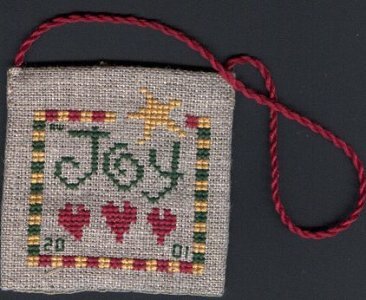 Forever Stitching inaway Zweigart's 28ct Quaker Cloth (Lt. Mauve) and The Dye Shop Floss. 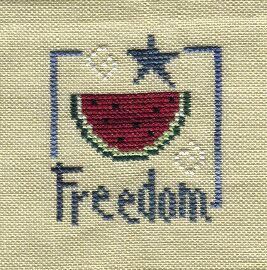 Freedom NathBroderie Can't find a patriotic charm for it! 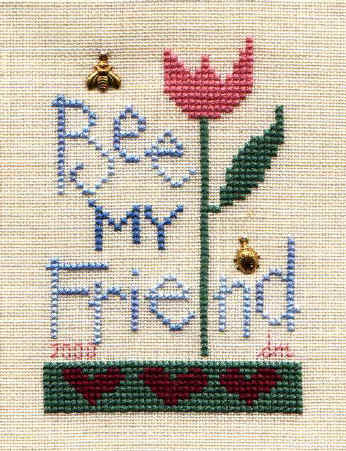 Friendship Grows Lene Tan Stitch with DMC threads 2 over 2 on 36ct Lambswool Linen. 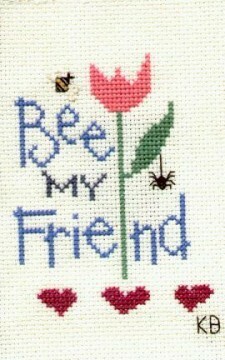 The words "Friendship Grows" were stitched in Grape Slush (SSS). 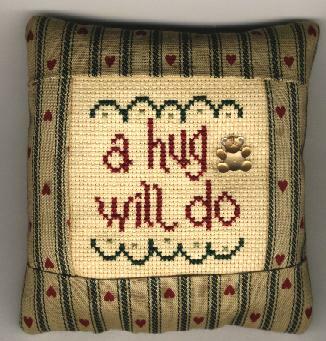 Friendship Grows ccTay Finished as a pillow. 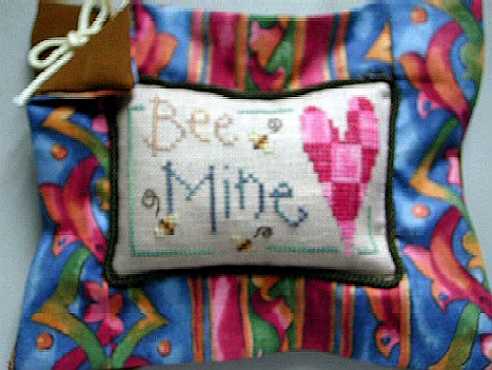 * Friendship Grows Carol UK I love the way the Trail Creek Farm pillows are finished with the little buttons matching the pillow fabric so thought I would give it a go. 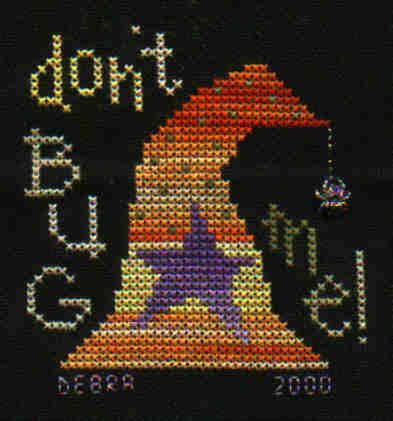 Garden Patch Debra M Since I didn't have a birdhouse charm, I stitched one instead. 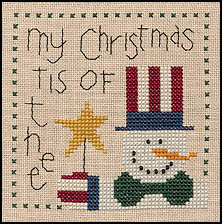 Joy to the World Deborah (1012) The sheep still need some eyes! 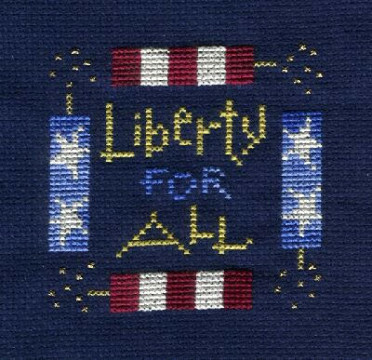 Liberty NathBroderie Can't find a patriotic charm for it! 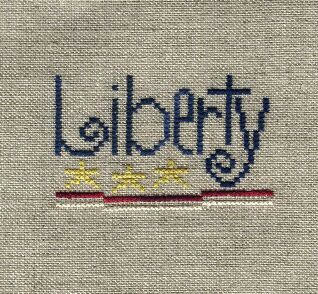 Liberty for All NathBroderie I did it on high count aida using 2 threads, what was hard, but I wanted the design to "pop" out. 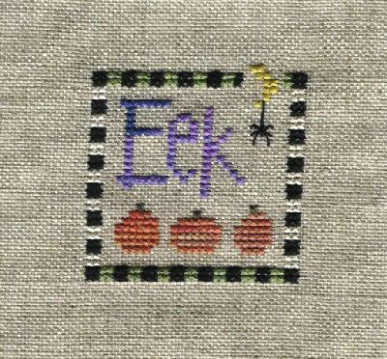 I used 1 thread only for the wicks. 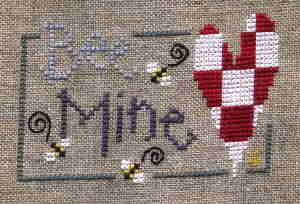 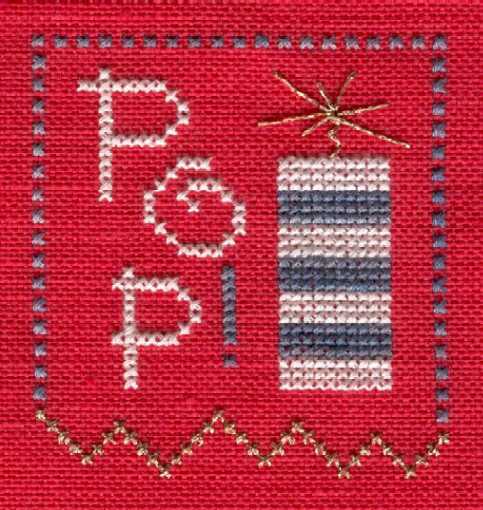 I used Joni red and oatmeal, and used Anne gold leaf, the metal is a kreinik and the blue a home-dyed thread. 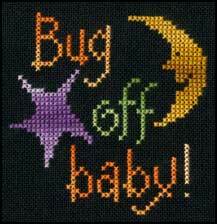 * Love Bug cheez Stitched on pink aida using Anchor multicolour, DMC variegated & rayon. 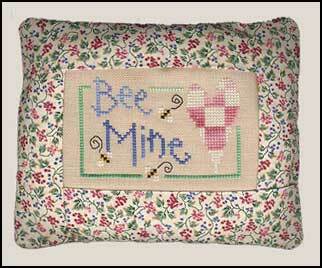 Embellished with ladybug button and extra stitching - wavy border. 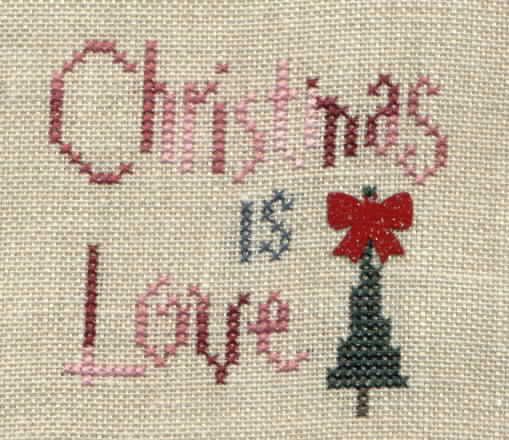 Love Lives Here NathBroderie An oldie, but still one of my favorites! 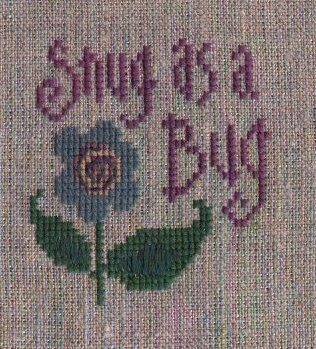 I found it back after thinking it was lost during a moving....yeepee ! 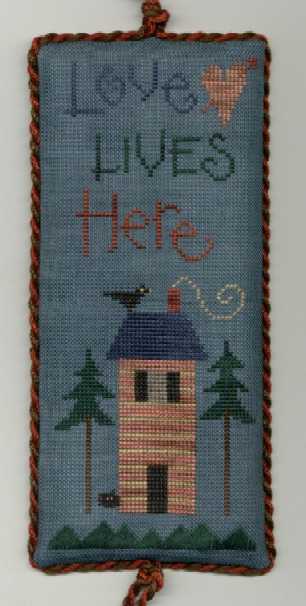 Love Lives Here Karen V in England Stitched on Blue Spruce Belfast. 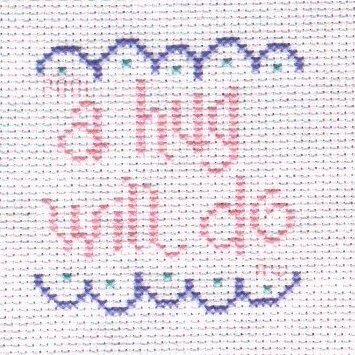 I made a couple of minor colour changes and added a little surprise - can you spot my kitty?! 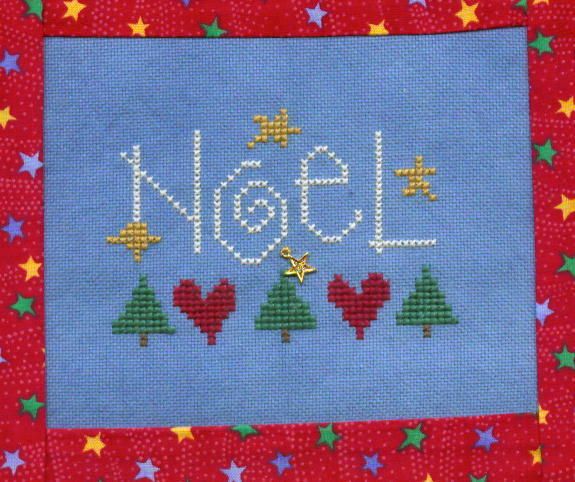 Noel Deborah (1012) Done on linen I hand dyed. 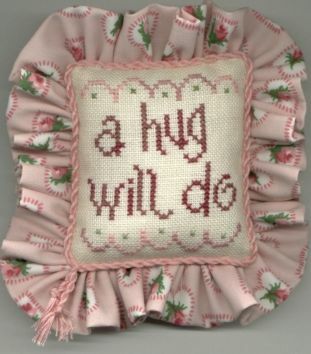 I've made it into a pillow, just need to stuff it and add the charm and some ribbon. 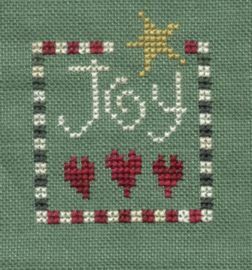 Peace Joy Love Twiisty I stitched this on 14ct white/pearly aida with gold threads woven about. 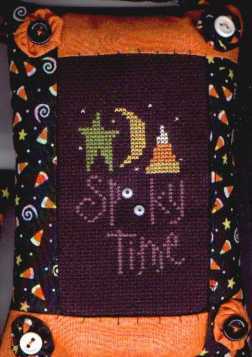 I used DMC 783 instead of white for the trefoils on the top and bottom of the design. 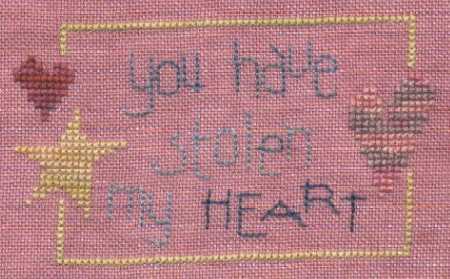 I also put a brass star on there instead of the heart charm. 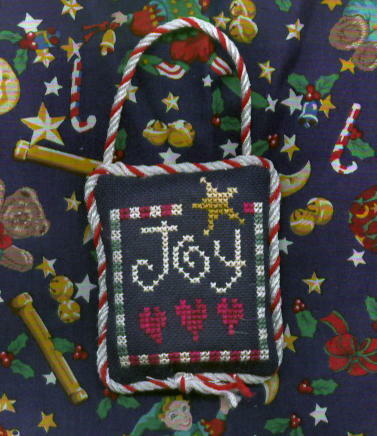 I plan to make this into a Christmas ornament with cording to match the colors. 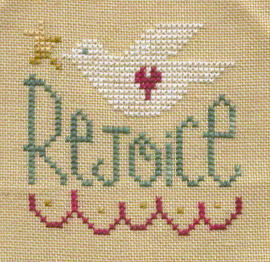 Rejoice Sarah UK Stitched on pale green fabric using the Gentle Arts Sampler Threads as stated on the chart. 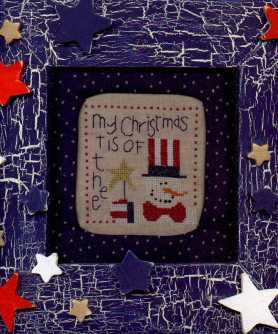 Snowman's Holiday KarenG54 Made frame and crackled it and added wood stars. 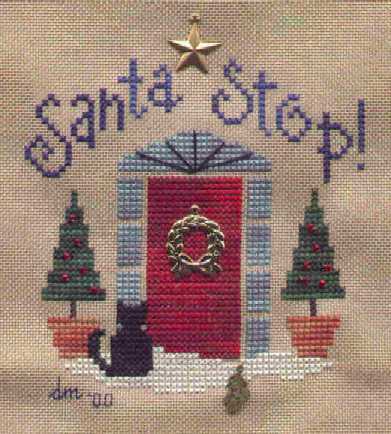 I use for X-mas, & 4th. 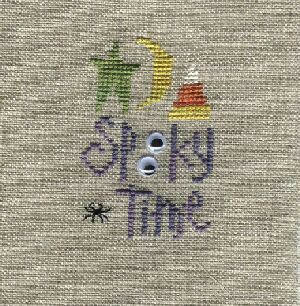 Spooky Time NathBroderie I stitched a spider instead of using a charm, and that's why it's not on black fabric, or the spider would not show. 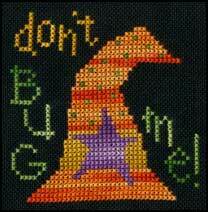 I also used rolling eyes instead of the LK special ones. 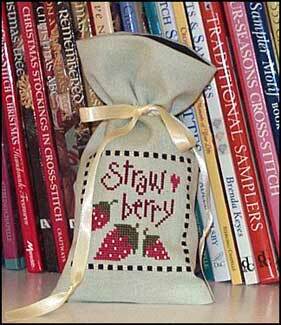 Strawberry samplergirl Stitched on 28 count water lily Jobelan and finished as a treat bag.